Judiciary Chairman Jerry Nadler (D-NY) stopped short Thursday evening of promising acting Attorney General Matt Whitaker that the committee would not subpoena him at hearing Friday — a promise Whitaker requested in exchange for his voluntary appearance at the hearing. “To the extent that you believe you are unable to fully respond to any specific question, we are prepared to handle your concerns on a case-by-case basis, both during and after tomorrow’s hearing,” Nadler said in a letter to Whitaker. The letter appeared to be an effort to toned down the rhetoric in what is an escalating battle between House Democrats and the Trump administration over executive privilege and the use of subpoenas by lawmakers. 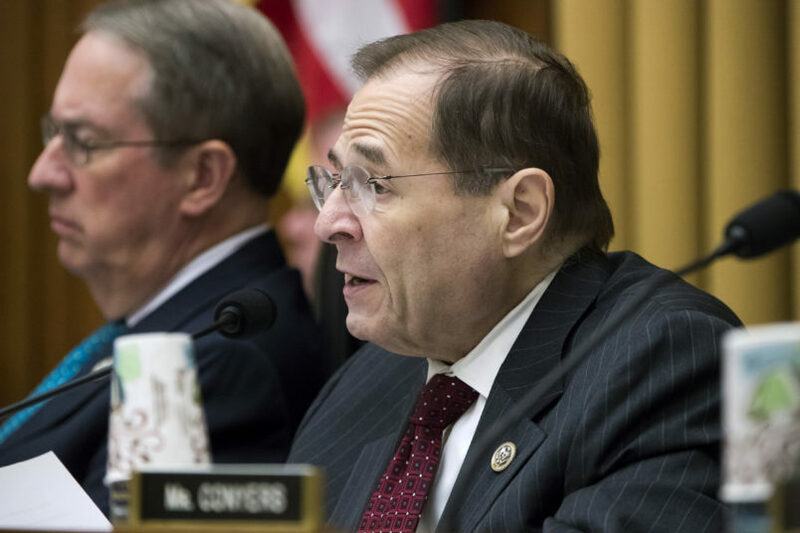 It remains to be seen whether Nadler’s more conciliatory tone will be enough to get Whitaker into the witness seat voluntarily Friday or if the Justice Department will demand a more concrete assurance. The letter left ambiguous what dealing with potential trouble spots on a “case-by-case” basis meant. Nadler had sent Whitaker a letter last month outlining questions the committee had planned for Friday’s hearing. The questions mostly dealt with Whitaker’s communications with President Trump and the White House about special counsel Robert Mueller’s investigation and other Trump-linked DOJ probes. Nadler sought a response from Whitaker by Wednesday as to whether the White House would seek to invoke executive privilege — which protects the confidentiality of advisors’ counsel to the President — on any of the questions. After Whitaker didn’t respond by the Wednesday deadline, Nadler held a committee mark-up on Thursday at which the committee voted to give him the authority to subpoena Whitaker — a subpoena Nadler said he’d only issue if Whitaker declined to answer the previewed questions. Whitaker responded to the subpoena threat by telling Nadler he wouldn’t show up at the hearing unless the threat was dropped. The DOJ’s position is that a subpoena should only come after Whitaker declines to answer certain questions, and the Department and Congress go through a process of finding a compromise.